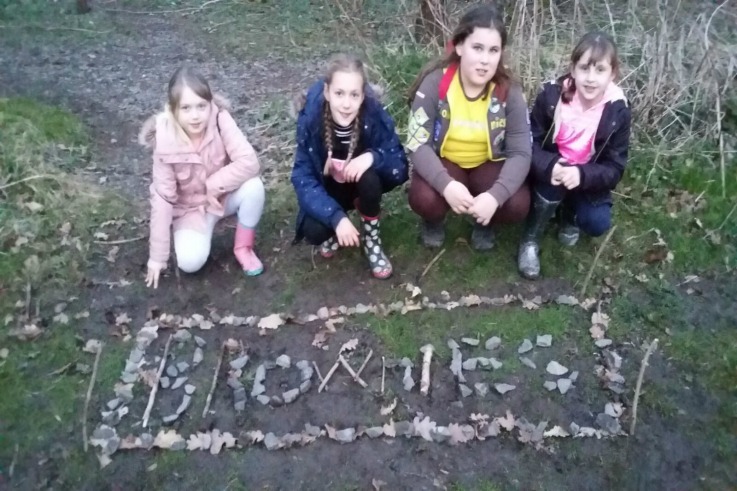 Meole Brace Brownies had a meeting outside of their usual meeting place this week, with a trip to the local woodland to explore. The girls collected leaves, which they took home in order to identify, and also collected items to make a collage with a Brownies theme. They finished the evening by playing hide and seek and also some singing practice on the walk back to the car park.